A civilised society can be measured to a very large extent by its taxation system and the way it balances the financing of the infrastructure and services that support our daily lives, along against the financial freedom of its citizens. This balancing act is notoriously difficult to get right as people differ greatly in where they would put the boundaries between the two elements and the weight they would give to each in the equation. I am a socialist and I would rather the see-saw, if it has to tip one way or another, was weighted towards financing the things that benefit us all (education, a free universal health service, the transport infrastructure, welfare) rather than towards allowing individuals to build their own wealth at the expense of those things. I realise that it is more complicated than this but basically, I believe that we act "better" collectively than we do if allowed (forced) to fend for ourselves. Humans are social creatures, progress through time has so far supported this fact. As we have developed throughout history civilised societies have demonstrated the strength of this basic instinct by creating systems that support the social infrastructure, protect the vulnerable and promote equality and justice. (Although there is an argument that this progress is now being eroded to some extent - one for another day). In an interesting speech last month Mark Carney, the governor of the Bank of England, warned that "Capitalism is at risk of destroying itself unless bankers realise they have an obligation to create a fairer society". He also said "Prosperity requires not just investment in economic capital, but investment in social capital". Bankers should concentrate less on short term profits (personal greed) and more on the social ethics of their actions. I totally agree. 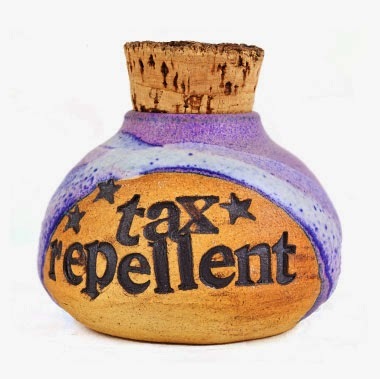 So how come I find myself working so hard to find ways of reducing my future tax bill, putting money into my SIPP for the tax benefit this brings and getting so annoyed when HMRC get the bill wrong for the tax I owe on my rental property? Surely there's just a hint of hypocrisy there? Of course all of this is perfectly legal. I'm not a higher rate tax payer (never have and never will be - neither has my husband) so the benefit I get from the tax relief on wrapping my savings in ISAs and pensions isn't that great. I am entitled to tax relief on the mortgage interest on our rental property. At the end of the day I'm only taking advantage of benefits that are available to everyone. But it's a fact that a lot of people just aren't in a position to be able to take advantage of those benefits, or don't know how to. This makes me uneasy. For most of my life I haven't been able to invest because there just hasn't been the funds, I didn't have money to put into a rental property. I now have more freedom to make more money simply because I have more money. I'm not sure that there is any real freedom at the root of this at all, just luck, good management and fortune, whatever that means (for a lot of people it means "inheritance"). Is that what we should be basing the taxation system on, rather than what we need it to do? I have no answers and, so long as I can quieten my conscience by giving it the assurance that I am working to the rules, I will continue to minimise my tax burden even though I believe that I should be carrying more of that burden than I actually am. In the long run, and considering the way things are going under this current government, I may well turn out to be the poorer for not being bound by tighter taxation rules. Rules that force me to carry more of that burden. I suspect that I will end poorer because I will be living in the kind of society I cannot abide. Just spent a couple of hours reading your blog from the beginning and I think it's great! Really like your style of writing, your plans appear to be very well thought out with evidence and backing. Your calculations have made me look at my own again and I see that I need to finetune mine! I've got a little longer to save up for my retirement so intend to take more risk, certainly in the next couple of years, before I rebalance to make the portfolio a little 'safer'. I also have that rare beast, a private sector DB pension. I'd never really looked at the statements until recently when I started planning for early retirement and I saw that my fears of working well beyond retirement age were unfounded. Anyway, hope things work out for you job-wise - I know how you feel about the 'job at risk' situation as I've been there (twice) and no doubt am likely to experience it again with the company I work for. Thanks weenie. I'm glad my plans make sense to someone else. I have to keep going over them in case I've missed something as financial planning, pensions and all this investing malarkey is very new to me. Having to cope with uncertainty about my job is also new to me as I have always worked in the public sector (no longer the safe haven it used to be), but so long as I have a plan (or set of them for best case/worst case scenarios) I'm hoping I won't let it bother me too much.